Last week, Hollywood icon/actress/outspoken woman Zsa Zsa Gabor passed away. Perhaps her greatest accomplishment was being the first person that was famous for being famous. Before the days of Paris Hilton (Gabor was actually her great Aunt), Lindsay Lohan and all of the Kardashians, Gabor made headlines for her antics, jaw-dropping jewelry and unforgettable style. So, take a lesson from Zsa Zsa and let her look influence yours. Here are some modern favorites inspired by Gabor’s old-world glamour. But unlike Zsa Zsa, you don’t need to marry a millionaire (nine times) to afford these looks. Zsa Zsa always looked purr-fect in a leopard coat. Darling, you can look just as fabulous in your own from Michele ($68) or Hilfiger Denim ($179.99). 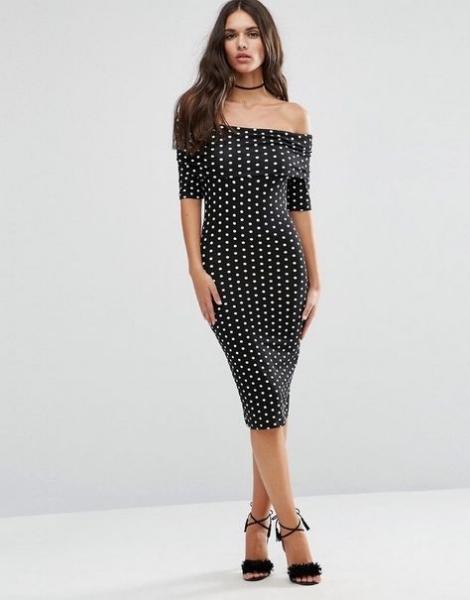 With all the money you save on this ASOS dress ($38), Zsa Zsa would tell you that there is plenty of cash left over for diamonds. Or splurge guilt-free on this off the shoulder frock from Nicole Miller ($440, right). Better yet, buy both! Whether you prefer a knit dress like this one from ASOS on the left ($64) or a graphic t-shirt dress by Moschino on the right ($598), Zsa Zsa would say, they're both fabulous, darling! Zsa Zsa was all about putting a ring and a bow on it. Go for less of a bow with the Eliza J dress on the left ($98.90) or full-on fancy from DSquared ($2,260). Zsa Zsa always made unforgettable statements and wore unforgettable statement necklaces. Make your own with Sterling Forever ($52).